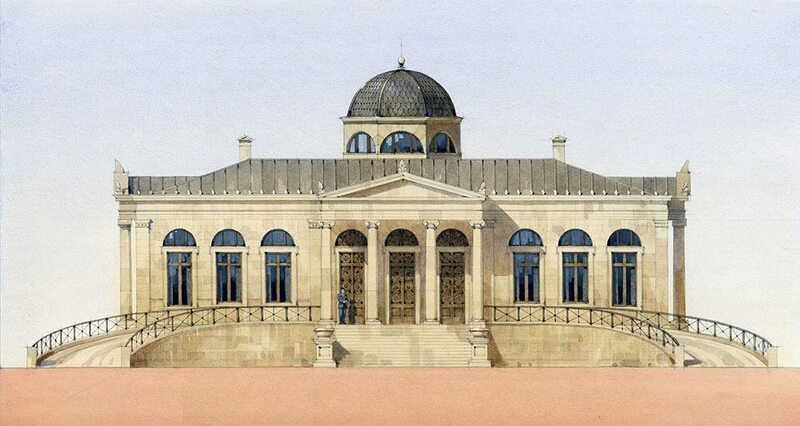 The new-build classical villa is located on the outskirts of Astana. 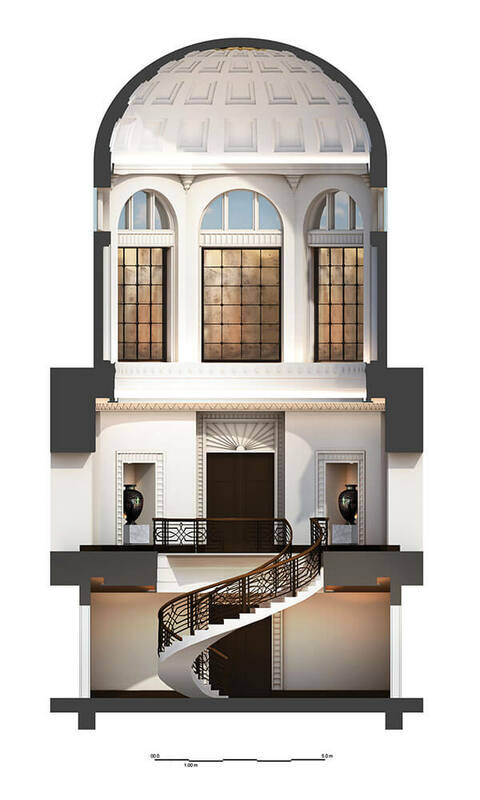 The building is designed as a freestanding villa with two major Ionic porticos to the entrance and rear garden façade, along with a separate pavilion building. 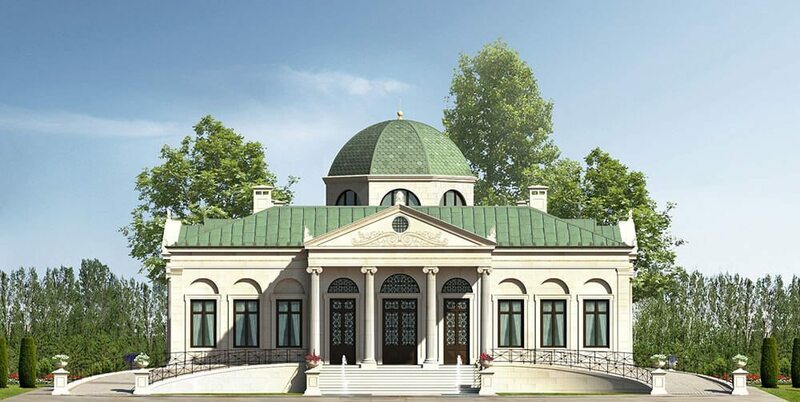 The flank elevations of the villa include stone porches and winter garden pavilions. 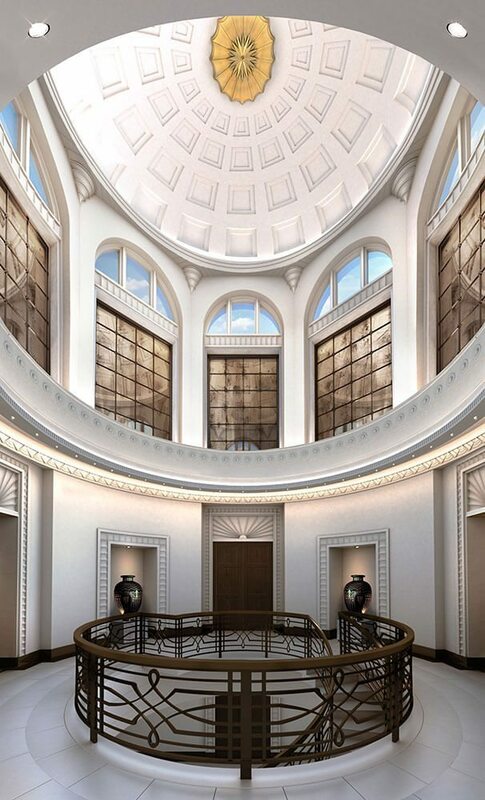 The building facades are constructed in natural limestone, with bronze windows, a copper roof and copper ornaments. The solid Kyrgyz limestone capitals and columns as well as the pediments and other decorative features are carved locally in single solid pieces by artisans and masons.